Civility begins within and then manifests in speech and action. This is true of everything, good and bad, better and worse. 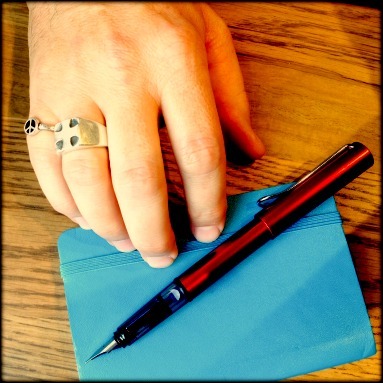 Out of our hearts we incubate ideas and expressions that take form in our words and responses. For this reason our God is not just standing around waiting to slap our wrist and cluck at us, but God is working to rehabilitate our heart and inmost being! Are we open to this? It’s one thing to capitulate and obey a greater power or a higher influence, but are we ready to allow ourselves to be fundamentally changed from the inside out? This is the difference between obeying the great sermon points in Matthew 5, 6 and 7 out of legal and religious obligation or allowing the Beatitude Statements in Matthew 5 to frame a change of our hearts and minds as we navigate the reorienting of life that Jesus presents for us to follow. This is not Christianity 2.0 or any new innovation or deeper level… this is actually the beginning of religion and faith. Jesus often gave this invitation to people, “Follow me.” This is the invitation of a teacher, mentor and life-changer. This is an invitation to reflect on who we are and how we are, with Jesus’ help. And it’s an invitation to change. Want to change the urges and reflexes of destructive negativity in your life? Begin by reflecting on your heart and cultivating a change there… work with energy and consistency to remove the negative things and plant beautiful things in their place. Where their is hurt and injury, sow some forgiveness. Where there is anger, sow some quiet and prayer. Where there is hatred, sow some empathy and hope. Christian saints and mystics often rooted this in their prayers: St. Catherine of Siena, St. Ignatius of Loyola & St. Francis of Assisi. Even as I begin a new year no longer serving a congregation as pastor and shepherd, I want to renew my commitment to being a spiritual friend and brother to you. And I have to remind you that I need you. Jesus didn’t invite one person or single individuals to follow this path of change, he called us into community, together. Let’s do this together. Let’s chat. 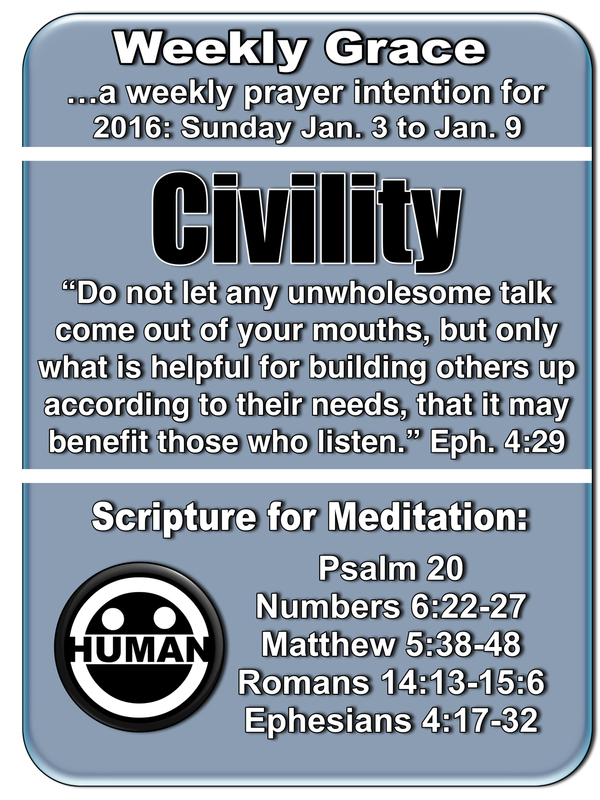 This entry was posted in Civility, Devotional Thoughts, Prayer and tagged Civility, Community, Prayer. If you’ve ever been involved with Ignatian Spirituality then the concept of First Principle and Foundation will be familiar, but if not… Ignatius presents this early in The Exercises as a sort of purpose statement for being. 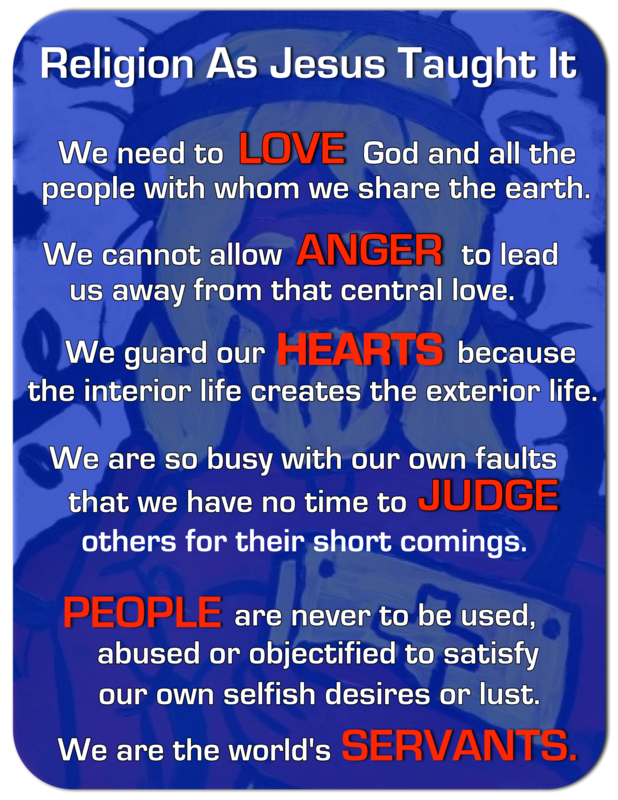 I won’t bore you with the long form of the principle, but it is often abbreviated to something like, “We were created to receive God’s love and give love back to God.” I find two main elements of the principle to be: 1) the foundation of God’s love as what animates us, and 2) our relationship to everything around us is based on experiencing God’s love. When you are engaged in the Exercises in almost any form, whether a true retreat or one of the annotations, you will be asked to think about and design a first principle and foundation statement of your own. I’ve been asked to do this many times, but have to admit that I can’t remember how I ordered my thoughts in the past. 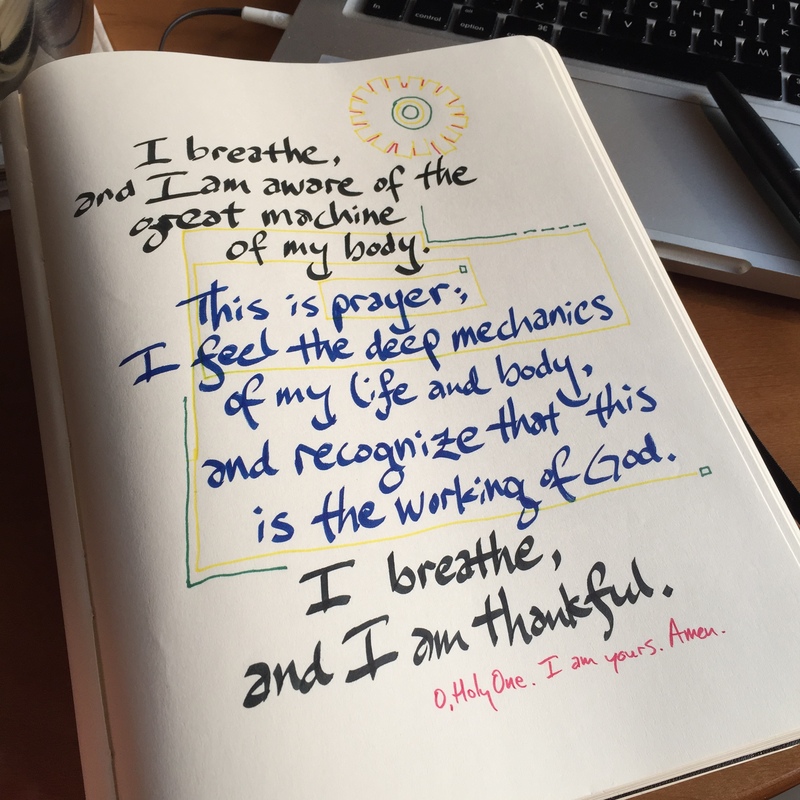 I could go and dig up my journals from those times, but it remains the case that what I thought and wrote did not become a part of my spiritual journey to any meaningful extent. I simply don’t remember what I have written. kindness, grace, service and contentment. 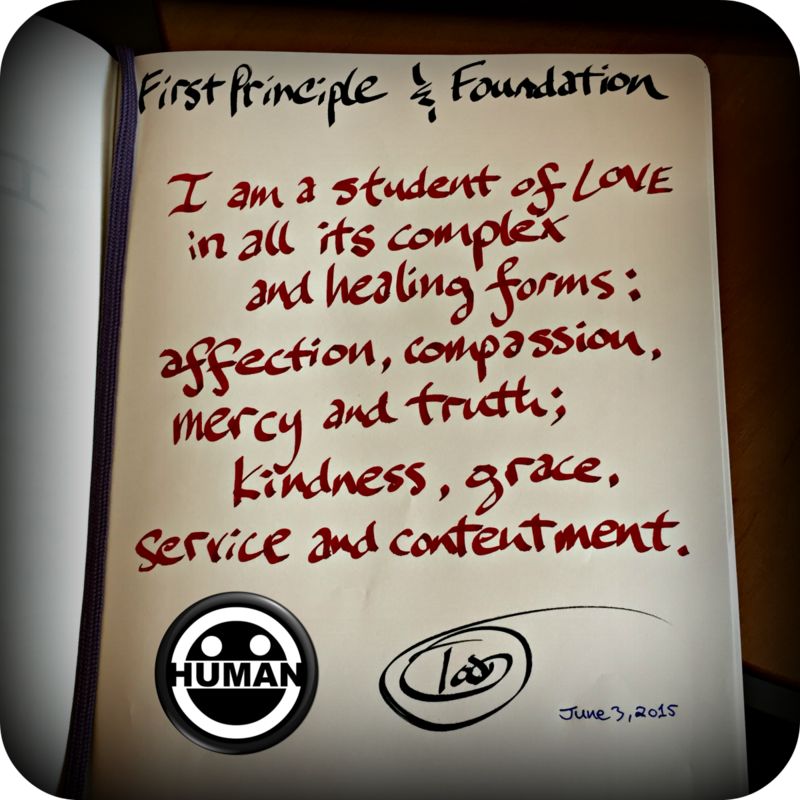 I hope that this kind of foundation helps me to be both fully human and fully connected to the divine. From this position, with a Christ-centred and valuing and understanding of both our shared humanity and divinity, then love is better able to manifest in me to the betterment of the kingdom of God and all the world God has caused to be. This entry was posted in Devotional Thoughts, Just Life, Prayer and tagged First Principle and Foundation, Prayer, Spiritual Exercises.